This was a decision we struggled with for a while. The traditional way to set and douse a spinnaker is with a “sock” that slides up the sail as it’s being deployed and gets pulled back down over the sail in order to douse it. This method requires someone to go forward on deck and can require some wrestling with the sail if the winds have picked up. That’s not entirely ideal and part of the reason we like the Helia 44 so much is that almost all control lines are lead to the helm, meaning we don’t have to leave the helm in order to control the boat. There are lots of different companies that offer these sort of systems, and we’re creating almost a ‘franken-rig’ combining favored components from each company. Profurl: We’re going to choose the Spinex Sail Bearing anti-twist cable to be the “torque rope” for our spinnaker. This is a very interesting concept that allows the sail to furl faster and easier, as the bearings have a greater diameter than a typical rope, which also prevents the spinnaker from being wrapped too tightly. 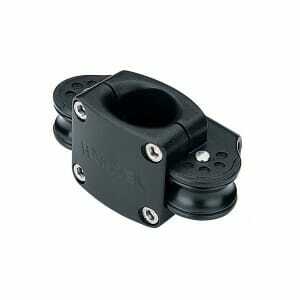 As part of this, we will also use the Profurl swivel, which can be used with our furling drum. Karver: We’re going with a Karver KF2 Furling Drum. This drum has a unique locking feature that will help prevent the sail from unfurling when we don’t want it to, which is kind of critical in my opinion. We’ll also rig up additional methods to prevent this from happening, but more back up is always appreciated. Another feature I really like is that we’ll be able to use the same drum with multiple sails which will simplify sail changes and reduce costs. 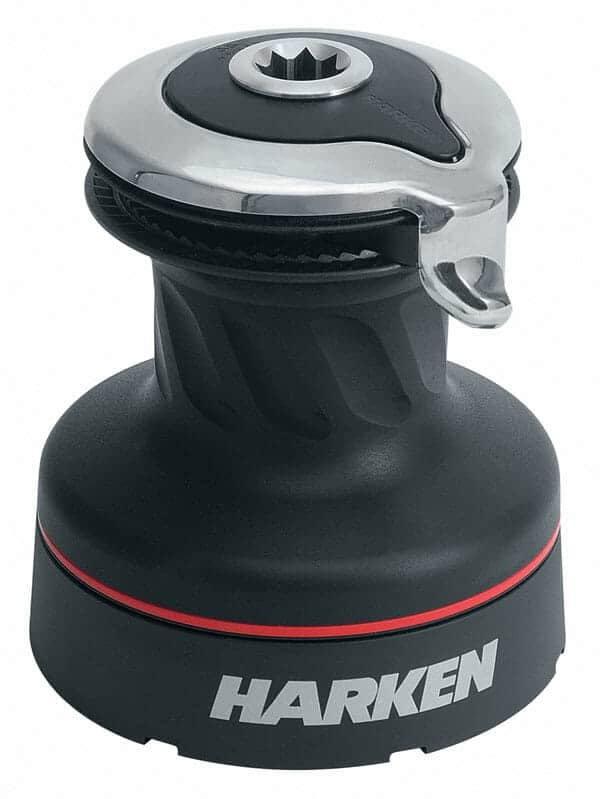 All that’s need are separate torque ropes. We are working with a Doyle sail loft that has a relationship with our dealer. After determining which type of additional sails we wanted, I went around and got quotes from several different lofts. It was a great learning experience in talking to all the different lofts, but in the end Doyle came in at the right price and has a great reputation as a sailmaker. This is a fairly all purpose type sail. It won’t fit in the traditional racing definition of a Code 0, but since Starry Horizons likely won’t be competing professionally anytime soon, that was okay with me. The sail will be 864 square feet, have a Tri Radial design, will be made with 5.5oz Dacron and will have a white UV Dacron protective layer along the leech and foot. There were additional options, such as a laminate material instead of Dacron, or square-weave Dacron, or even different weight Dacron, but I felt that the combination of a Tri-Radial design and the 5.5oz weight would give us a fairly good combination of sail performance and shape longevity. Our contact at Doyle has said we should be able to use this sail in light airs up to about 15 knots AWS (apparent wind speed) to keep things comfortable, and should be able to go from about 50 degrees APA (apparent wind angle) to perhaps 120 degrees. We’ll have to do some testing once we actually get out on the water and will develop a good set of guidelines for its use. For reaching and downwind performance, a spinnaker is the way to go. 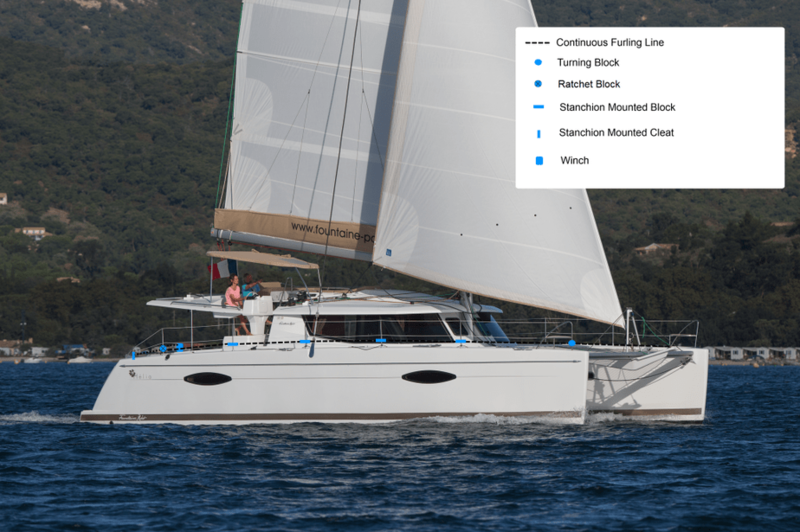 We chose to go with an asymmetric spinnaker, since it will work with the top down furling system I described earlier. It also allows for better reaching performance than a symmetric spinnaker. Doyle calls our sail the Asymmetrical Power Cruiser, and we’re have it made in Contender Nylite 90, a nylon based fabric. One of the cool (to us at least) features of this sail is that you get to choose from a rainbow of colors (with multiple colors and patterns being an option) and could also have a graphic inlaid in the sail. It was very tempting to have the Starry Horizons logo put on, but in the end we decided to be true to the logo itself, and are going for a dark blue spinnaker. It should look pretty stunning once it’s flying in front of the boat! As for the performance of the sail, Doyle lists a range of 85-165 degrees AWA and 5-25 knots AWS. There is still some work to be done to determine the exact best way to run the continuous furling line and sheets back towards the helm. 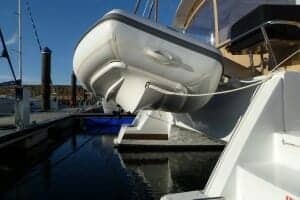 The Bowsprit and Gear package from Fountaine Pajot includes an additional winch on the port side of the cockpit to handle sheets, and I’m seriously thinking about adding an additional winch on the starboard side as well to make handling the sheets easier and clear up lines being lead to the helm across the deck. I’ve drawn up a (really) rough diagram of how I think the rigging might run. Continuous Furling Line: The line that fits around the furling drum and we’ll use to furl in the sails. Turning Block: Takes the furling line from the furling drum and redirects it down the side of the boat. 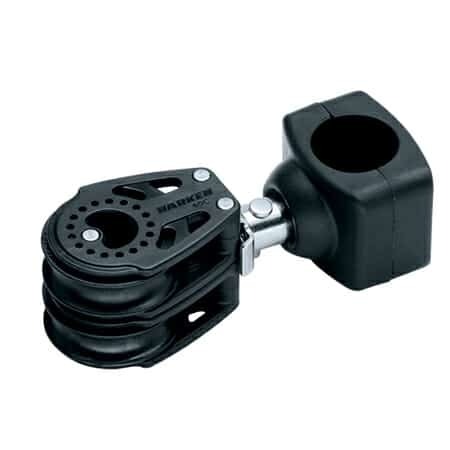 Ratchet Block: Used on the part of the continuous furling line that actually furls the sail, a ratchet block helps maintain tension on the line. 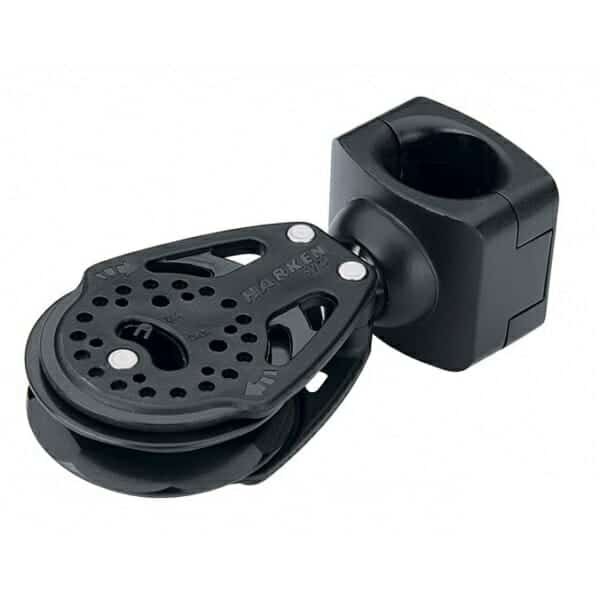 Stanchion Mounted Lead Block: Helps guide the furling line along the stanchions and reduces friction. 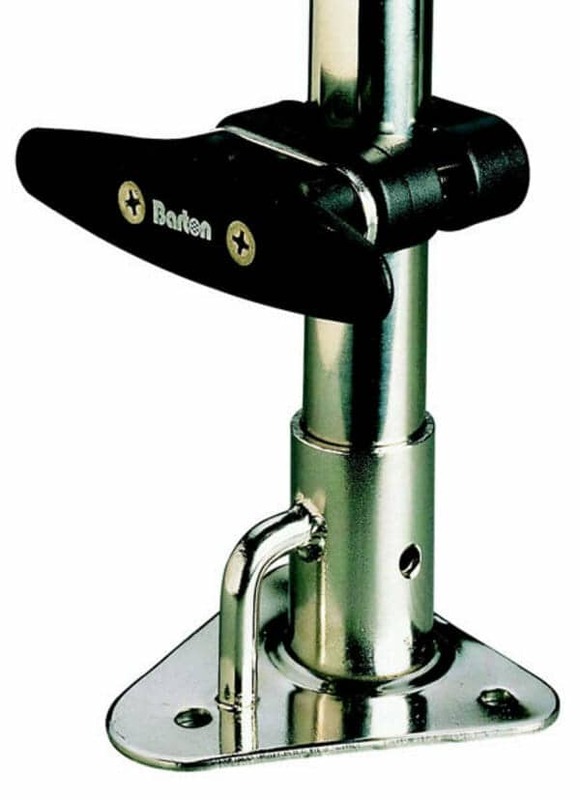 Stanchion Mounted Cleat: Allows for the furling line to be cleated off and prevent accidental deployment of the sails. Winch: This will primarily be used to control the sheet of the sails, which will allow us to unfurl the sail, as well as control sail shape. The combination of the spinnaker and screecher should give us a great inventory of sails to supplement the genoa and mainsail that come from the factory. The tradewind circumnavigation that we plan on eventually undertaking is characterized by lots of reaching/downwind sailing in light airs. That’s exactly what these sails excel at!